We are dental service provider offering great service, shorter waits, all in a new, modern, and state-of-the-art facility. A serene and special place where you can explore options to discover more reasons to smile. 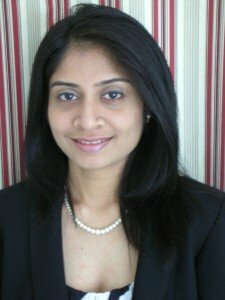 Offering far beyond what you get from dental care, Pearl Smile Dental is led by our well-respected, board certified dental surgeon, DrManisha Desai. It is also staffed by experienced and well trained staff, dental assistants, Hygienists, and treatment coordinators. We provide state-of-the-art oral care and rejuvenation far beyond anything you have experienced. Our goal is to provide you personalized, compassionate oral care experience.Dental Health, patient comfort, and desired aesthetic results are sought in accordance with each patients' individual goals and circumstances. The comfort of my patients is my job and my reward. -Dr. Manisha. Graduated from the prestigious Boston University Goldman School of Dentistry with a Doctor of Dental Medicine Degree. She also completed a Bachelor of Dental Surgery Degree at the Nair Hospital Dental College overseas. Dr Desai has been practicing dentistry since 2002 and opened this practice, Aurora Sonrisa Dental in 2012.